Like tourist authorities everywhere, the Portuguese are getting tough on AirBnb and other online rental sites. You can still rent your home out, but you need to get your house in order first, and fast. The Portuguese government is clamping down on people renting out holiday accommodation illegally this summer season. As announced in O Journal Economico, a new rental property rule was unveiled last week after a meeting of the Council of Ministers. The rule, coming into effect on 1st July, will make it mandatory to show the official rental license number of any property when it’s advertised online. The obvious targets here are websites such as AirBnb, Booking.com and Homeaway. The obvious targets are websites such as AirBnb, Booking.com and Homeaway. The Portugal Resident “guestimates” that there may be as many as 120,000 Portuguese properties being rented out. This is three times as many as are listed on the official Turismo de Portugal register. This suggests that many homeowners will now have to miss out on their summer earnings, or quickly scramble to get their licensing arrangements in place. 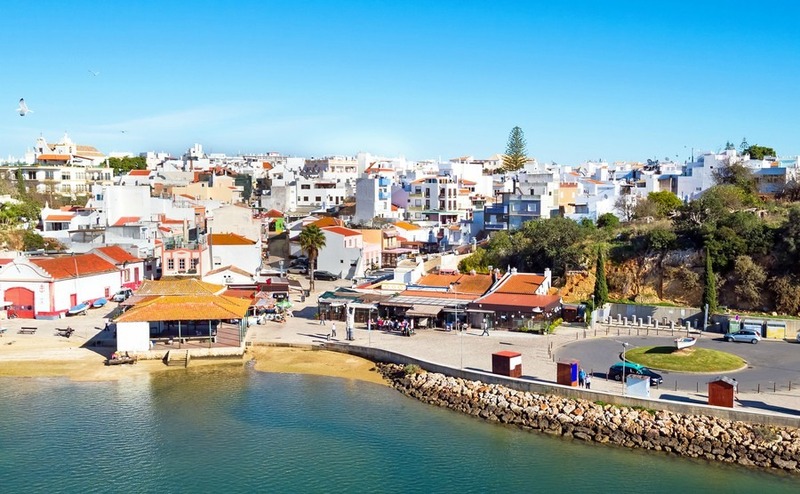 Alvor, in the Algarve, but will new rules limit lettings? To facilitate this, it’s been announced that new mechanisms are being put in place to turn license applications around more quickly. Decisions on these should now only take around 60 days. They’ve been known to take much longer up to now, with O Journal Economico singling out rural applications as being most problematic. How seriously people will take the changes remains to be seen. For some, the draw of easy cash during Portugal’s busy summer will undoubtedly remain too great to withdraw from providing accommodation. However, formal registration means coming out from under the radar. For some, this will probably mean paying tax on rental income that was formerly being hidden under the table. Thanks to the internet, people who continue to refuse to play by the rules could be easily caught. It will be simplicity itself for the authorities to search for all the properties that remain offered for rent online without a registration and licence in place. Such operations can and do take place in Portugal. Catching and fining offenders is straightforward and lucrative. As such, anyone who continues to “chance it” with an illegal holiday rental after July is taking a substantial risk. This does not mean, however, that those planning to make some money on the side from rentals, or indeed, were relying on it to finance their dreams of a holiday home-ownership, should give up. As one local paper put it: “the government has pretended to object [to the illegal lettings economy] but in fact has encouraged it by allowing lettings to operate with only token state interference.” A new, easier system of rental licensing is likely to follow to avoid Portugal losing out on a vital part of its local economy.